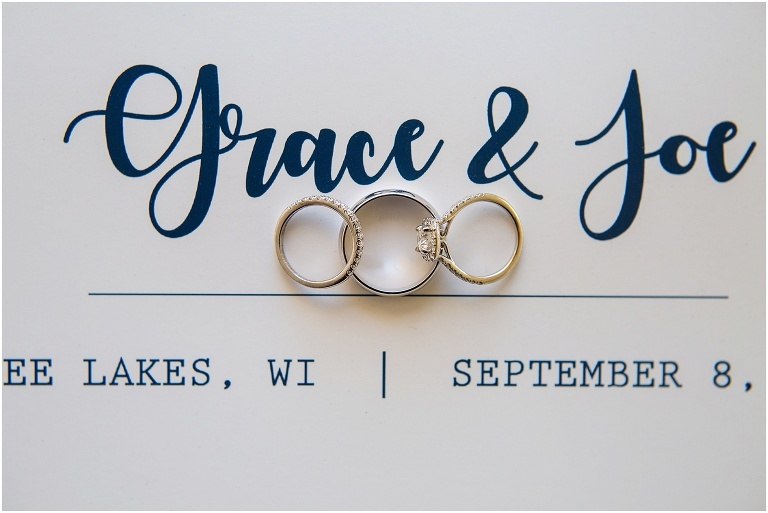 On a perfect Northwoods Wisconsin fall day, Grace + Joe were married! It was warm and sunny with a tinge of crisp in the air and the lakes were blue and calm. I met the ladies at Wild Eagle Lodge for getting ready and pictures on the lake. From there, we headed to Three Lakes, for their ceremony at the Catholic Church. The officiant gave a funny and personal sermon, Joe was a former student of his, and even featured one of their photos from their engagement session last fall 🙂 They exchanged sweet views, tied the knot (literally and figuratively) and we headed out to enjoy the day. We took photos at Joe’s family’s lake house in the wild and back at the lodge. They planned their wedding up north as a destination for their guests from central Wisconsin and Chicagoland. Wild Eagle Lodge is the prefect spot for that (I can attest, I spent a week up there with my family after our wedding :)) and the people I met all agreed. 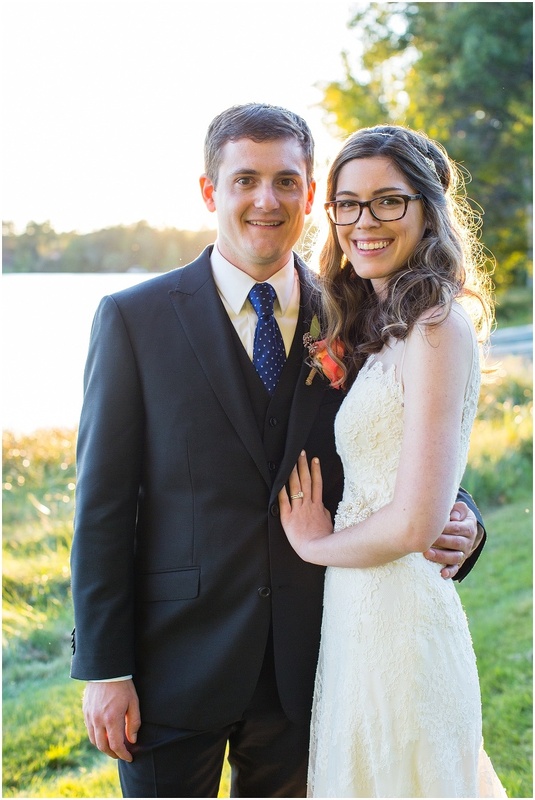 They danced, dined, played bean bags and yard games and enjoyed celebrating their first day as a married couple!